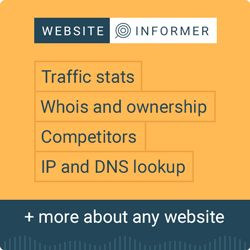 This diagram shows the percentages of websites using various top level domains. See technologies overview for explanations on the methodologies used in the surveys. Our reports are updated daily. .com is used as top level domain by 46.7% of all the websites. Top Level Domains are the highest level in the hierarchical Domain Name System (DNS) of the Internet. They are the rightmost part after the last dot in a domain name.